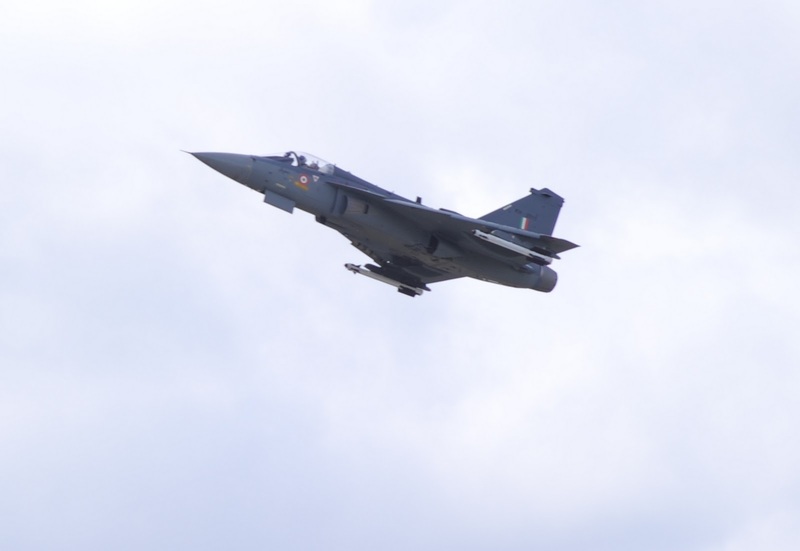 The fifth limited series production Tejas fighter (LSP-5) flew for the first time today, piloted by Lt Cdr Ankur Jain of the Indian Navy. The aircraft is fully representative of the configuration that will achieve initial operational clearance next month. The platform joins four previous LSP series jets and two prototype vechicles currently logging hours on the programme (the PV-1 hasn't flown since January this year, and the two tech demonstrators haven't flown for some time now). The successful flight came on an otherwise terrible day for the Indian Air Force, which lost 10 personnel (three crew + seven enlisted personnel) in a Mi-17 helicopter crash in Bomdir, Arunachal Pradesh earlier today. One Army officer also lost his life. RIP.